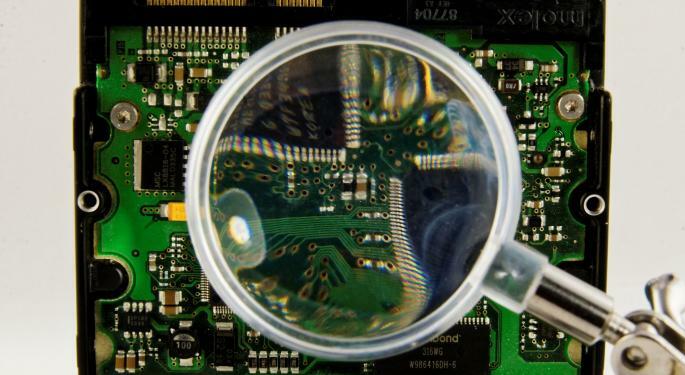 Short interest in the leading semiconductor stocks was mixed again in early October. Short sellers piled on Applied Materials, Inc. (NASDAQ: AMAT), NVIDIA Corporation (NASDAQ: NVDA) and Qorvo Inc (NASDAQ: QRVO) in particular during that time. Several other chip stocks also saw double-digit percentage swings in the number of their shares short. There were some big short-interest moves in the leading semiconductor-related stocks between the September 30 and October 15 settlement dates, both to the upside and the down. Short sellers especially moved on Applied Materials, NVIDIA and Qorvo. The numbers of their shares short swelled more than 20 percent in the first two weeks of the month. Below is a closer look at how these three stocks have fared recently and what analysts expect from them, followed by a glance at the short-interest moves in other key chip stocks. 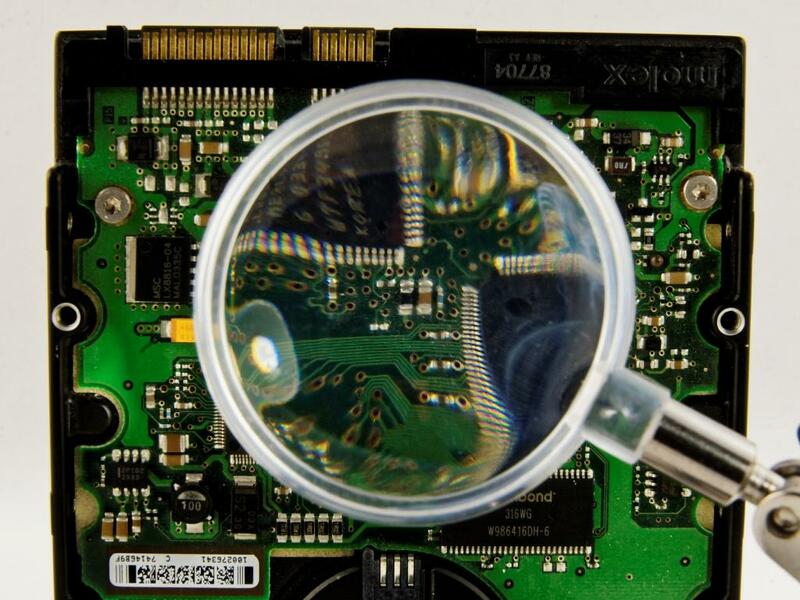 This equipment and services provider to the semiconductor industry saw significant moves. Short interest jumped more than 21 percent to around 32.83 million shares in the period. That was more than 2 percent of the float, as well as the greatest number of shares since April. Days to cover inched up to two. The stock received at least one downgrade in the period. The company has a market capitalization of more than $19 billion and a dividend yield near 2.4 percent. The long-term earnings per share (EPS) growth forecast of this S&P 500 component is more than 11 percent. Of the 23 analysts surveyed by Thomson/First Call, 16 of them recommend buying shares. Their mean price target, or where the analysts expect the share price will go, is more than 22 percent higher than the current share price. The share price rose more than 6 percent during the first two weeks of October, while the Nasdaq gained more than 5 percent. The stock has not only outperformed the broader markets over the past six months, but competitors KLA-Tencor and Lam Research as well. Short interest in this company jumped more than 26 percent during the period to more than 43.26 million shares. That was the higher number of shares sold short since July, and more than 8 percent of the float. It would take about four days to cover all short positions. Several concerns overhang NVIDIA. It also has a market cap of more than $15 billion and a dividend yield near 1.4 percent. The return on equity of this S&P 500 component is around 12 percent, and the operating margin is better than the industry average. For at least three months, the consensus recommendation of analysts surveyed has been to hold NVIDIA shares. The share price has overrun their mean price target, which means that they see no further upside at this time. Short sellers watched the stock climb almost 14 percent before pulling back some at the end of the short interest period. Over the past six months, the shares have outperformed larger competitors Intel and Qualcomm, as well as the broader markets. The 5.07 million shares short as of mid-month was almost double the number of shares short at the end of July. It also was more than 3 percent of the float of this radio frequency systems maker. As the average daily volume dropped, days to cover rose to three for the first time this year. At least one analyst said during the short interest period that it prefers peer Skyworks. Qorvo has a market cap of almost $7 billion. Its operating margin is better than the industry average, but the return on equity is less than 5 percent. All but four of the 20 surveyed analysts recommend buying Qorvo shares, with six of them rating the stock at Strong Buy. A move to their mean price target would be a gain of more than 36 percent for the shares. The share price ended the two-week period about 9 percent higher, despite being down more than 4 percent at one point. The stock has underperformed the broader markets and peers Skyworks Solutions and Avago Technologies over the past six months. The number of shares short in Altera, Analog Devices and Avago Technologies also swelled by double-digit percentages in the first weeks of October. Short interest in Microchip Technology, NXP Semiconductors, Skyworks Solutions and Texas Instruments grew more modestly. Short sellers retreated somewhat from ARM Holdings, KLA-Tencor, Lam Research, Linear Technology, Maxim Integrated Products, Micron Technology, ON Semiconductor and Qualcomm in the period, but especially from Broadcom, Marvell Technology and Xilinx. The number of their shares short shrank by more than 20 percent. Intel bucked the trend toward wild swings. It had about the same number of shares short at the end of the period as at the beginning.